Acne is a skin disease that is difficult to treat, no matter how you get it. 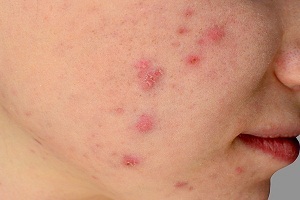 Acne can occur to anyone at any age and there are several reasons associated with its causes. 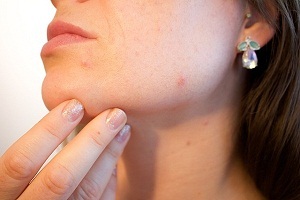 It affects face but face is not the only place where acne symptoms protrude. 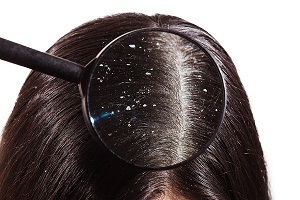 It can in fact affect any part of your body that has oil-secreting glands or hair follicles. These locations may include your back, chest, and shoulders etc. There are many effective acne treatments available currently; however most of them have side effects or their regiments are quite complex. There is no cure for acne disease. 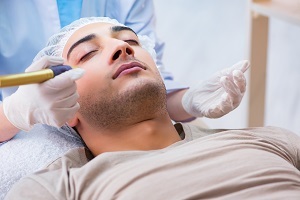 The treatment options only help relieve the symptoms and make a person feel comfortable. Current treatments are also helpful in preventing the development of new spots and acne scarring. Blackheads and whiteheads are generally treated with a variety of pharmaceutical products such as topical salicylic acid or benzoyl peroxide, topical retinoids and the broad-spectrum antibiotic clindamycin. Oral antibiotics are also recommended in some cases. Several medicines are available which helps to kill the bacteria and also open skin pores to reduce excessive oil in the skin. For hormonal acne, women are given birth control pills to regulate certain hormones in the body. Supplements for hormonal acne may also be given to improve the skin condition. Current treatment options provide several drawbacks and side affects. For example, acne treatment with isotretinoin can cause serious side effects such as exacerbation of acne, teratogenicity and other permanent side effects. Oral antibiotics can cause severe scarring. They can reduce the inflammation and lesions but are not able to completely treat the condition. There are also some concerns over the increasing resistance of P. acnes to erythromycin, which has alerted the scientific community about the use of antibiotics for acne treatment. Oral contraceptoves (combinations of estrogens and progestogens) are used for hormonal acne; but they function by suppressing sebaceous gland which may not be recommended. Still many other treatment regimens currently available also have some side effecst that may be serious in some cases. Therefore, there is a need for newer and innovative ways for products that can help relieve the symptoms of acne and cure it completely. In fact, an innovation in this area is long overdue. There is enough room for improving on the current ways of managing and curing acne. 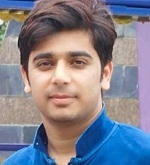 As mentioned above, no therapies have been completely successful in treating acne. Moreover, the innovation in this area is long pending. Over the last one decade, no new proven therapies are approved. However, there are interesting recent studies that give hope about the upcoming potential advancements. Many types of receptors, chemokines, cytokines, and other pro-inflammatory mediators are implicated, and nutrition, the skin microbiome and genetics of both the patient and the bacteria living in the follicle may also be involved. “It’s an incredibly complex phenomenon,” says Feldman, who is a dermatologist at Wake Forest Baptist Medical Center in NC. There are evidences that tetracycline antibiotics can be linked to acne inflammation and scarring, which means that we can hope for better therapies once the results of these researches are confirmed. A company called Dermira is working on the development of a novel molecule that, if approved, will be the first to target excessive sebum production. Research is being conducted to determine of there can be a role of biotics and probiotics as well. A dermatologist team is working at UCSD to assess the benefits of probiotics in acne. 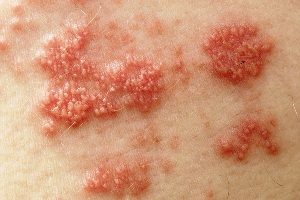 Vaccines are also being evaluated for the prevention and cure of acne. There are some evidences that show that blocking Christie-Atkins-Munch-Peterson (CAMP) factor secreted by P. acnes can help prevent the inflammation that causes acne rashes to develop. Top Natural Treatments for Scabies: What Can You Do to Get Rid of Scabies at Home What are the common home remedies for scabies that you can try easily? 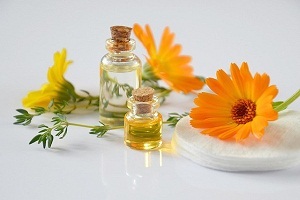 Some of the home remedies with which scabies can be prevented or managed generally are given below. However,. . . .